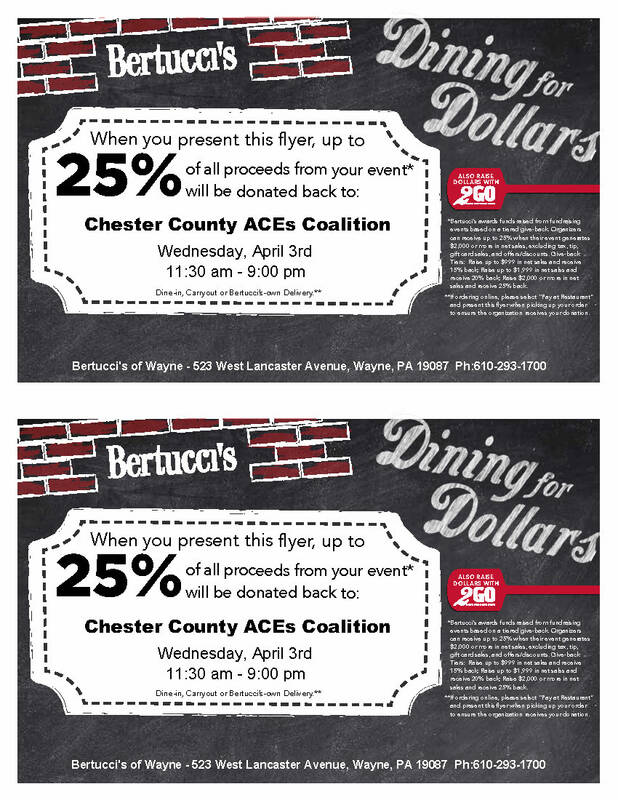 Due to the inclement weather, Bertucci's is allowing us to host another fundraising event on April 3rd from 11:30am-9am. 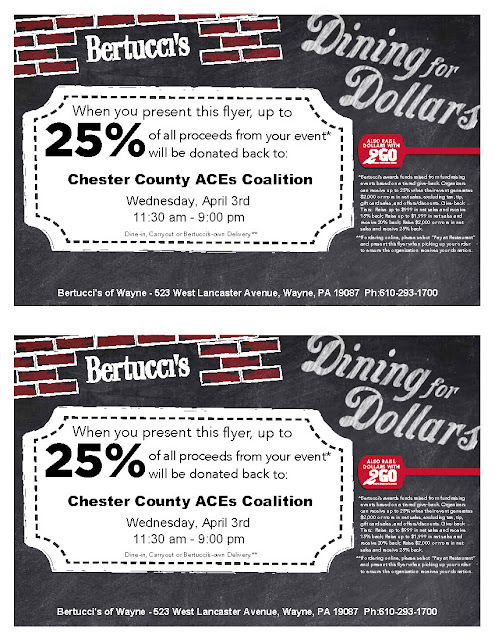 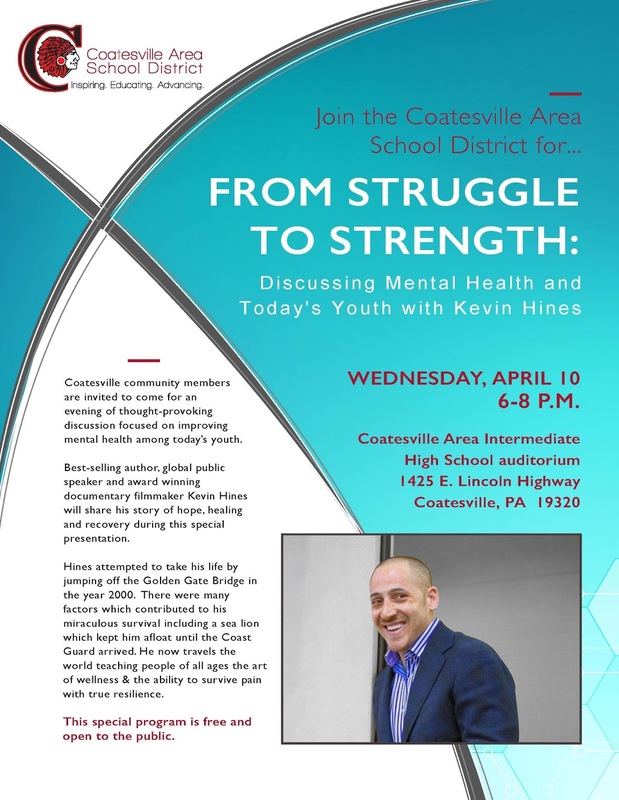 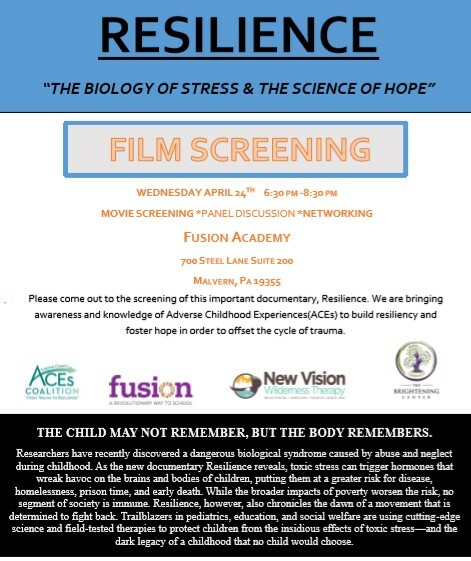 Please present this flyer when you eat in, carryout, or order Bertucci's-own Delivery, and up to 25% of all the proceeds will be donated to The Chester County ACEs Coalition! 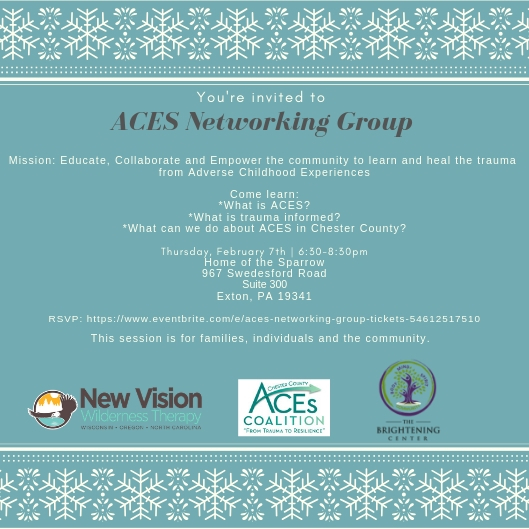 Please come to our Networking Event on Thursday February 7th from 6:30pm-8:30pm at the Home of the Sparrow's new office space at 967 Swedesford Road Exton, PA 19341. Please come to our 1st Networking Event on Friday February 8th from 9am-11am at Home of the Sparrow's new office space at 967 Swedesford Road Exton, PA 19341.